You don't need to save it all. Big or small, every dollar counts. There's another fact to consider: you don't need to save the entire cost of education. 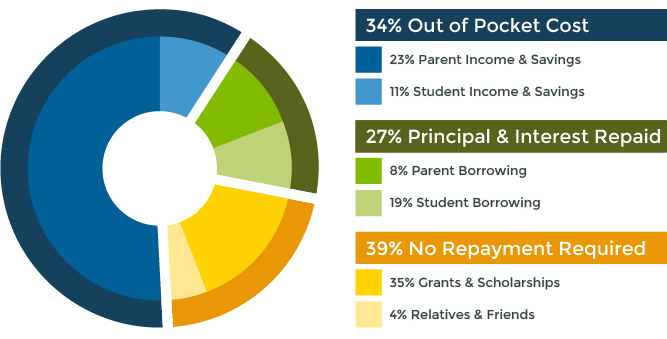 You can use a mix of funding sources, as shown below, which illustrates how people are actually paying for college. And the more you save now, the less you will need to borrow or rely on scholarships. Investing when you can helps your money work harder for you. Here's the bottom line: saving for college takes an investment plan that fits your financial situation and goals. It's important to begin to save when you can, with as much as you can. No time is too late, no matter how old your child is. And the earlier you get started, the better. Consider your comfort level now, and plan to increase your contributions at key timeframes such as kindergarten, sixth grade and ninth grade. Even adding as little as $50 a month can result in significant savings later on. 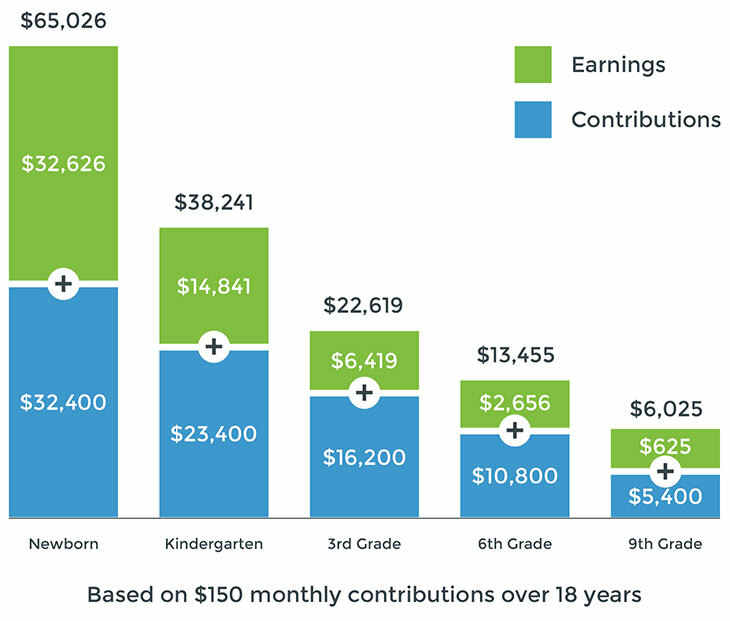 This chart illustrates an investment of $150 a month on the first day of the month into a college savings account that earns 7% per year, compounded monthly until the child is 18 years old. This hypothetical is for illustrative purposes only. It does not reflect an actual investment in any particular college savings plan or in the NEST 529 Direct Plan.